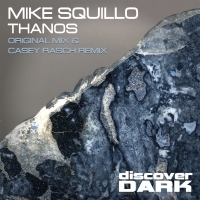 Brooklyn, New York based Trance producer and DJ Mike Squillo debuts on the Discover label group, with 'Thanos', an exploration of the harder style of Trance for the Discover Dark imprint. Alongside the original is a remix from fellow Discover Dark artist Casey Rasch. 'Thanos' is available now from Beatport and iTunes.